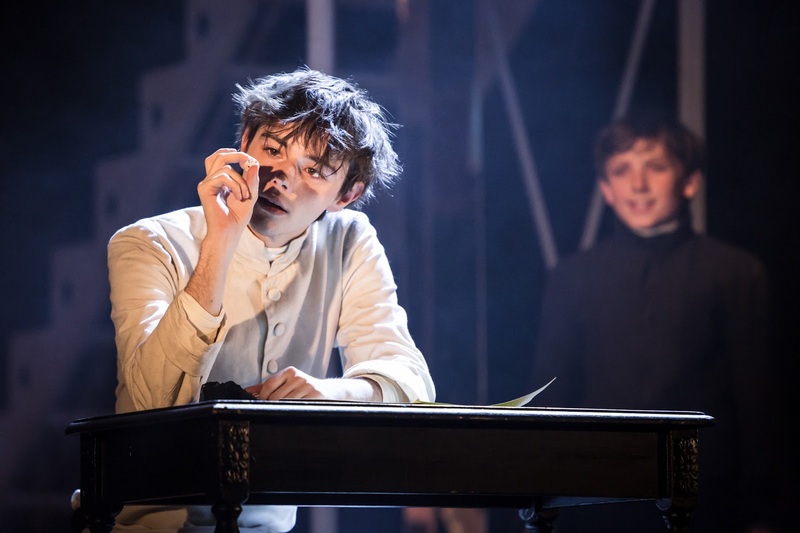 I suspect the inspiration for the musical the Braille Legacy currently playing at Charing Cross Theatre is to explore a young man's determination to read and learn. But instead we get a lot of political intrigue and some unintentionally hilarious musical moments as children disappear after medical experiments go wrong. All set to music. This is a new musical by Sébastien Lancrenon and Jean-Baptiste Saudray and translated by Ranjit Bolt. It's lush and listenable, but curiously lacking in any emotion or point. Which is odd since it is a fascinating story set in Paris between 1824 and 1852. It was a military code called night writing developed by a Captain in the French Army that by chance found its way to the Royal Institution for Blind Youth in Paris. Louis Braille who was studying there at the time found a way to improve on it so it would be easier to read. And he did this at the age of fifteen. This alone you would think would be enough material for a musical. But much of the plot is about Braille's teacher, the evil Monsieur Dufau (Ashley Stillburn). He believes that until there's a cure for blindness the best the children can hope for is to learn how to weave a basket. And suffer the occasional medical experiment. The piece works best exploring Braille's determination to read and learn in a world where blindness meant to be cast aside. Making his professional debut as the young Braille, Jack Wolfe conveys the sense of determined and intelligent young man. The rest of the cast also look and sound great in their black and white costuming. 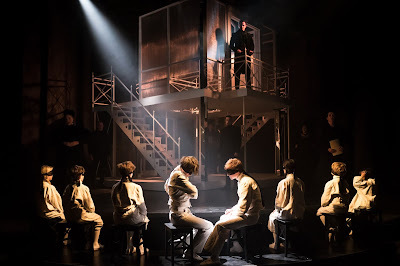 And there is a lot of style in this production with its white lighting piercing the darkness and a double-decker revolve. But ultimately it feels like a lost opportunity to describe the legacy of Braille and the challenges he overcame. 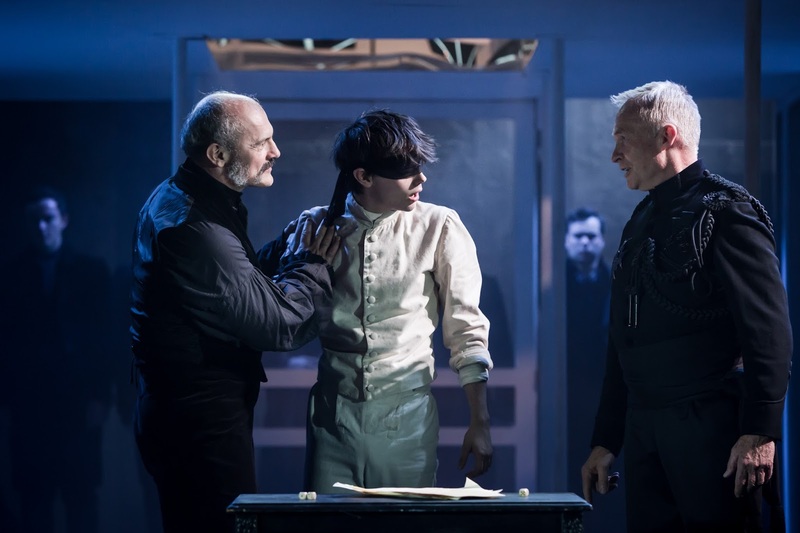 Directed by Thom Southerland is at Charing Cross Theatre until 24 June.